Note: Any features in the admin that are grayed out means that you don’t have enough privileges to access or change those settings. If you can’t share at the property level, see if you can share at the view level. If you can do neither, you’ll need to uncover who has administrative level access to your account and have that person take care of it for you. You’ll see a new screen where you can view the users who already have access to this property, their email, and what level of permissions they have. You’ll also see a plus sign near the top right. It’s not exactly in your face, so I’m pointing at it with a red arrow below. Click there. Once you do, you’ll have a choice to add new users or add new groups. Choose add new users. Nice! We’re almost done now. The last step is to actually add the user and provide him or her with the level of access you’re comfortable with. 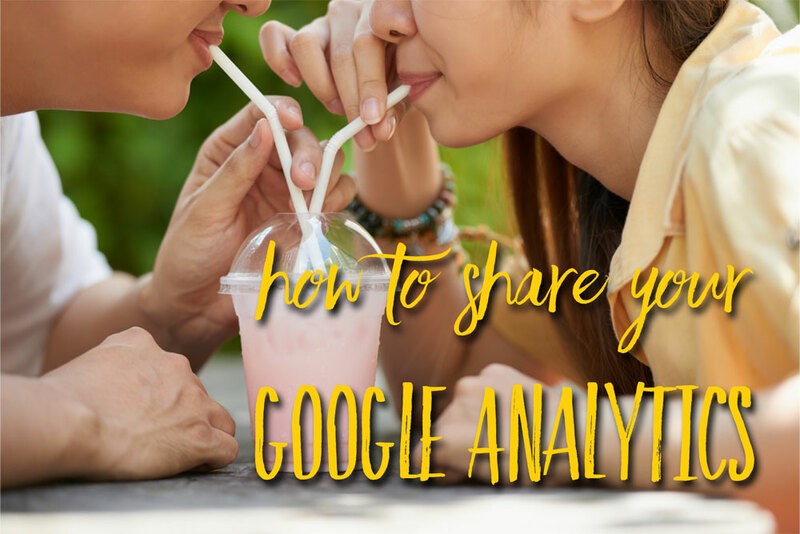 To invite someone to view your analytics, you’ll need to know their Google email address, which they should have provided you. It’s also a good idea to make sure the “Notify new users by email” button is checked so they get the memo. Edit – Can create and edit accounts, properties, views, filters, goals, etc. Cannot manager users. Collaborate – Can create and edit shared assets, like dashboards or annotations. Read & Analyze – Can view report and configuration data. 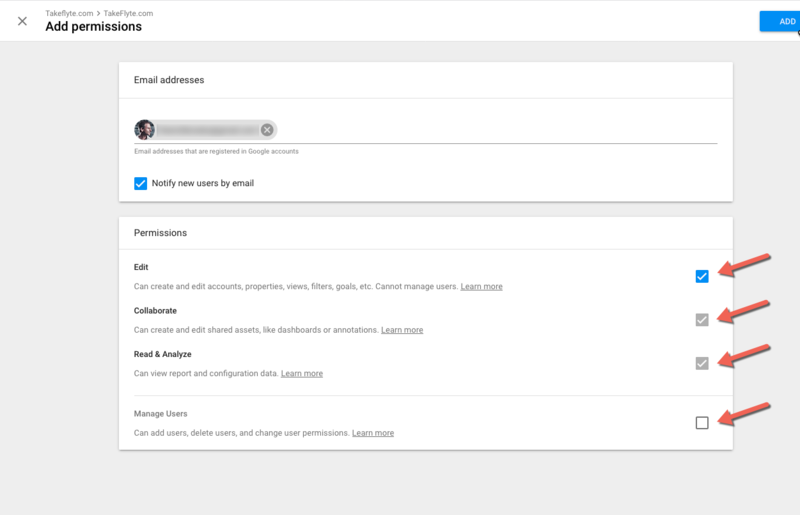 Manage Users – Can add users, delete users, and change user permissions. I know that for flyte, we like access to Edit. That allows us to run certain reports, set up filters (which help improve your reporting,) create goals (so you know how you’re doing), and more. Personally, I wouldn’t give someone outside my office Manage Users access without a really good reason. They could lock you out of your own analytics that way. That’s all you need to do. Next time they log into their Google Analytics account they’ll see a link to your analytics on their dashboard page. I forwarded your site to a client so that they can share their reports. Thanks for sharing with the clear instructions. cheers for the advice great help for me and my clients keep up the good posts please. Thanks very much! I’d been looking around for a while for this info, and nobody else seems to be talking about it. You can’t share segments, this way, though. You have to give them a link, and then the user has to save the segment in their own account. thanks for the tip. simple howto posts like this have proven invaluable for me over the years. Thank you for the information, I have been reading as much as i can on analytics for our customers. Posted March 19, 2018 by Rich Brooks & filed under SEO, Web Design & Development, Web Marketing. 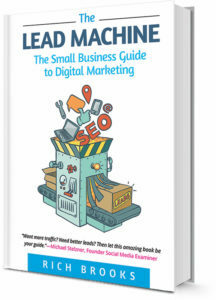 What is Holistic Web Marketing?